There are many great websites available on the internet where you can learn how to code with live examples and demo. However, many of us prefer to watch youtube videos to understand any topic. It feels like we are in a real classroom. You can understand any specific topic related to any subject on youtube. 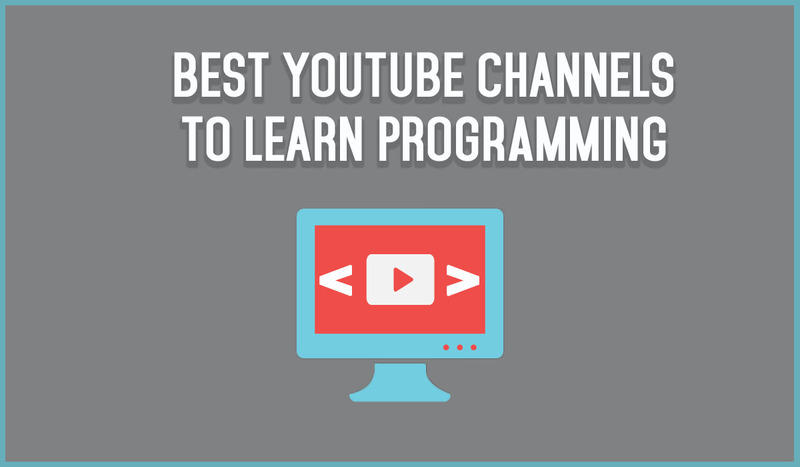 In this article, I am going to share top 10 Best Youtube Channels to Learn Coding Online. You can also check these Best Websites to Learn Programming online. TheNewBoston is a very helpful youtube channel for programmers, developers, networking and graphic designers. The youtube channel was started in 2008. In 9 years, the channel has created more than 4200 video tutorials and still uploading new videos daily. This channel has covered almost all modern programming languages and computer science topics. This amazing channel is consist of the video tutorials regarding the programming languages. The uploader Derek Banas explains the whole concept of any particular coding language within a single video only. If you don’t have much time or preparing for exams, you should follow his channel. Programming knowledge youtube channel has more than 1000 videos of programming tutorials created by its uploader ‘Yogesh Patel’. The easy and helpful videos attracted about 400,000 subscribers throughout the world. The channel provides most accurate and essential knowledge about different programming languages to its subscribers. If you are a beginner then this is the best place for you to start. This channel mainly focuses on PHP but it also covers CSS, Sass, Node.js etc. Master the web designing, Bootstrap, Layout on Photoshop and Dreamweaver so that you could make the responsive websites with amazingly featured layouts. Many other related things you could learn through the short but simple videos of the channel. The Google Developers channel, offers lessons, talks, the latest news & best practices. Learn Android, Chrome, Web Development, Polymer, Performance, iOS & more! @Vicky If you are good at python programming can I know how to read docs files using python programming i.e I need the complete details of how can we read text, colour text , different texts and their styles and copy them into separate text files. Please let me know this as I am looking for this information no one is answering it clearly if I searched in on YouTube and different sites but they are explaining only how to read plain text file .I would be thankful for that if you provide any reference about that.